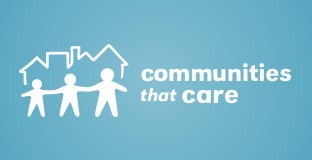 The Center for the Study and Prevention of Violence (CSPV) at CU Boulder is beginning a Communities That Care (CTC) Program Evaluation project, funded by the Colorado Department of Public Health and Environment (CDPHE). This project will evaluate the CTC model, which seeks to identify and implement evidence-based youth substance abuse prevention strategies in communities across Colorado. Our team at CSPV will partner with CDPHE to develop and collect process and outcome evaluation data that support CTC program effectiveness. · One full-time Project Director – The Project Director will oversee the evaluation of the CTC model in Colorado. This includes collecting data related to the implementation of CTC and the community-level prevention strategies and data on relevant and available outcome indicators. Additionally, this position will analyze data, develop reports, and coordinate the provision of technical assistance to Local Public Health Agencies (LPHAs). The Project Director will be responsible for overseeing the day-to-day project operations to ensure project deliverables are high quality and achieved within the project timeline. Significant in-state travel required. · Two full-time Community Site Research Analysts - Responsibilities include assisting the Project Director in collecting and reporting on data related to: (1) the implementation of CTC and the community-level prevention strategies and (2) relevant and available outcome indicators. These positions will also provide evaluation support and technical assistance to the Local Public Health Agencies (LPHA) implementing CTC. Significant in-state travel required. For more information and to apply, visit the University of Colorado's job website (https://www.cu.edu/cu-careers/cu-boulder) and search for Job #07419 (Project Director) or #07420 (Community Site Research Analyst).